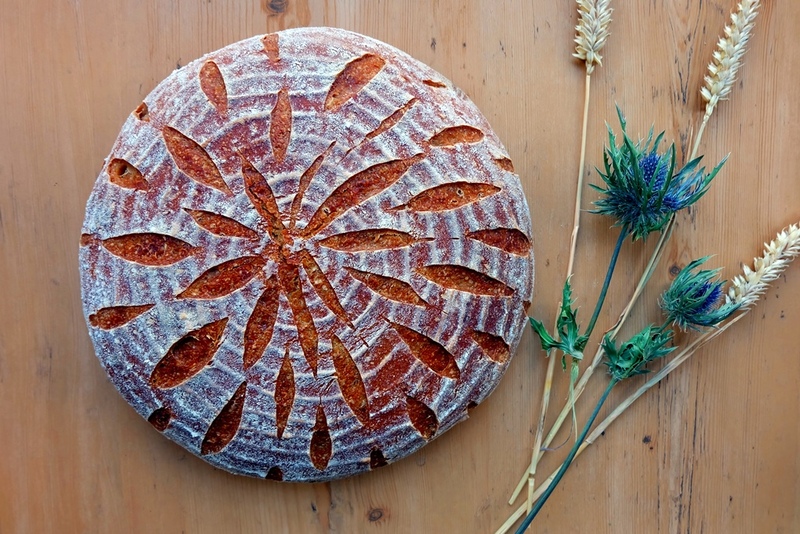 ‘Mexican breads’ is the theme of this month’s #twelveloaves baking collective. I decided to go for Mexican comfort food and these wheat and corn-based cemita bread rolls filled with tasty chicken, avocado, cheese and spicy sauce are just perfect! Here’s my cemita bread recipe for wholesome Mexican bread buns. 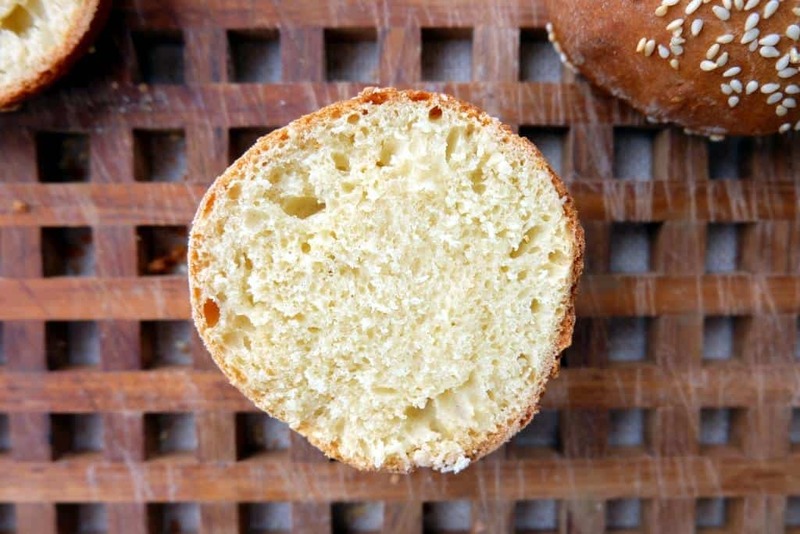 Cemitas are round, fluffy, sesame-topped bread rolls from Puebla, Mexico. The bread roll forms the basis of the cemita poblana sandwich which is filled with avocado, onions, Oaxaca cheese, breaded beef or pork carnitas, chipotle peppers, a spicy red sauce (such as adobo) and the herb papalo. Cemita Mexican bread rolls are made with an enriched brioche-like dough using eggs and lard. The ingredients below are the result of extensive research. Now all I need to to is go to Mexico next to ensure my cemitas are truly authentic! Combine all the dry ingredients (strong white wheat flour, cornmeal, salt, dry yeast) in a bowl. Whisk briefly to mix the ingredients. In a second bowl, combine the wet ingredients (water, buttermilk, eggs, melted butter). Whisk to combine. Stir the wet ingredients into the bowl with the dry ingredients and mix until combined. Knead the dough until smooth and velvety. The dough should be a little sticky but hold its shape well. Carefully add a little bit more flour if the dough is too wet. Place the dough into a bowl, cover and leave to rise for about two hours until doubled in size. On a lightly floured surface, divide the dough into eight to ten pieces, cover with a clean kitchen towel and leave to rest for 20 mins. Shape each piece into a ball, then flatten until it resembles a burger bun. Place the cemita buns on a baking tray lined with baking paper (make sure they are not too close to each other). Cover with a clean kitchen towel for the second rise until well proved. Half an hour before baking, preheat the oven to 200°C / 400°F . 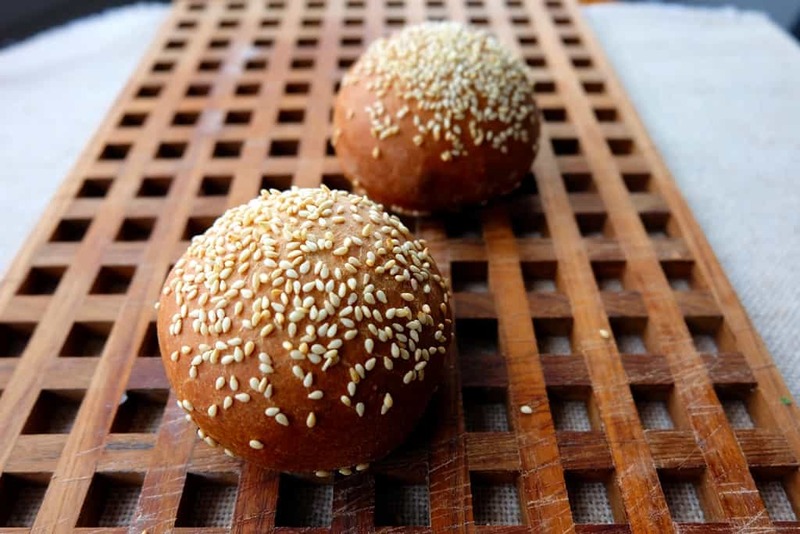 Just before the cemita bread rolls go into the oven, brush each bun with the milk-water wash and sprinkle with the sesame seeds. Our host this month is Heather from girlichef, and our theme is Mexican Breads. 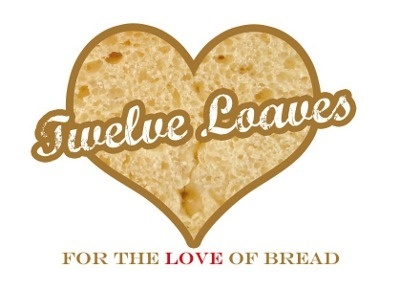 For more bread recipes, visit the #TwelveLoaves Pinterest board, or check out last month’s mouthwatering selection of #TwelveLoaves Cheese Breads! If you’d like to bake along with us this month, share your Mexican Bread using hashtag #TwelveLoaves!